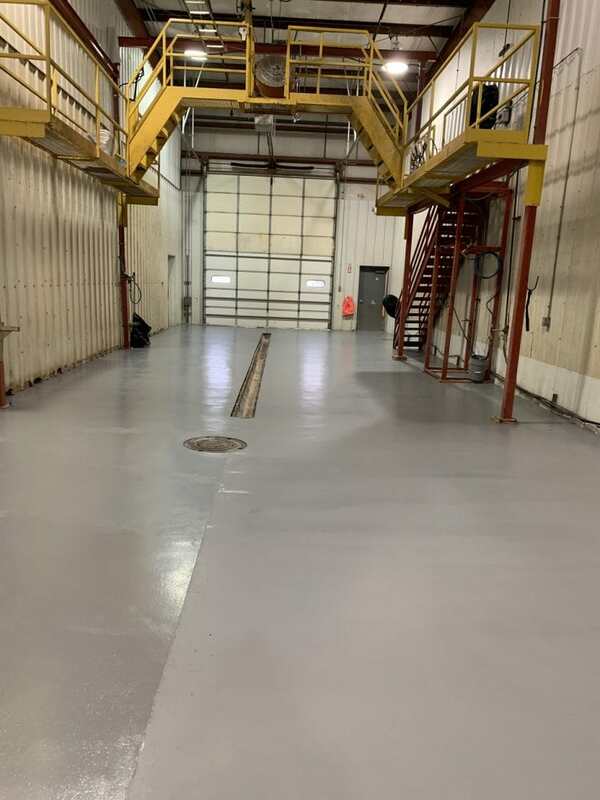 Our SurfaceCrete flooring system -the next generation of polyurethane concrete technology- gives our customer peace of mind in just one day. 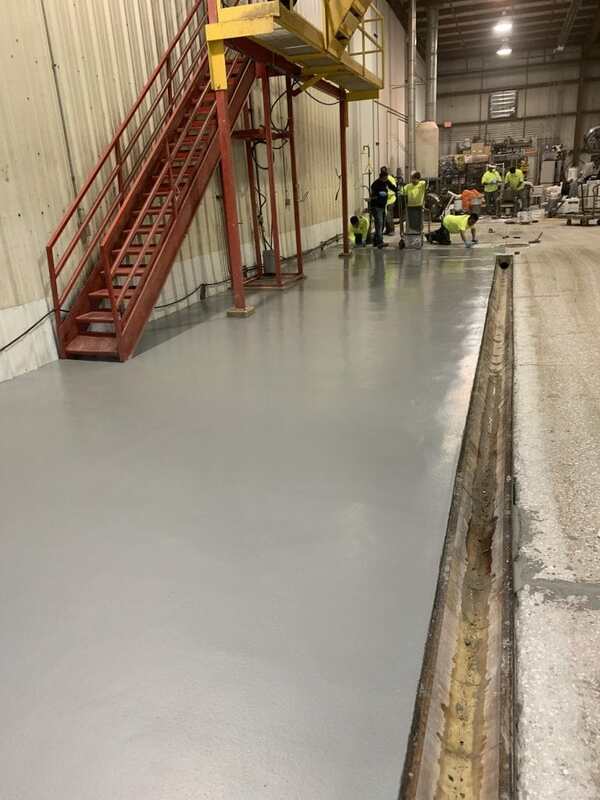 Surface Solutions’ expert installers prepare the bare concrete by shot blasting and hand grinding, then trowel-apply our bio-based polyurethane concrete flooring system, SurfaceCrete HF, to ¼-inch nominal thickness … in one day. Customer is very pleased. Our self-branded SurfaceCrete flooring systems represent the next generation of polyurethane concrete technology. The bio-based products utilize domestically-produced soy bean oil and feature environmentally-friendly packaging. 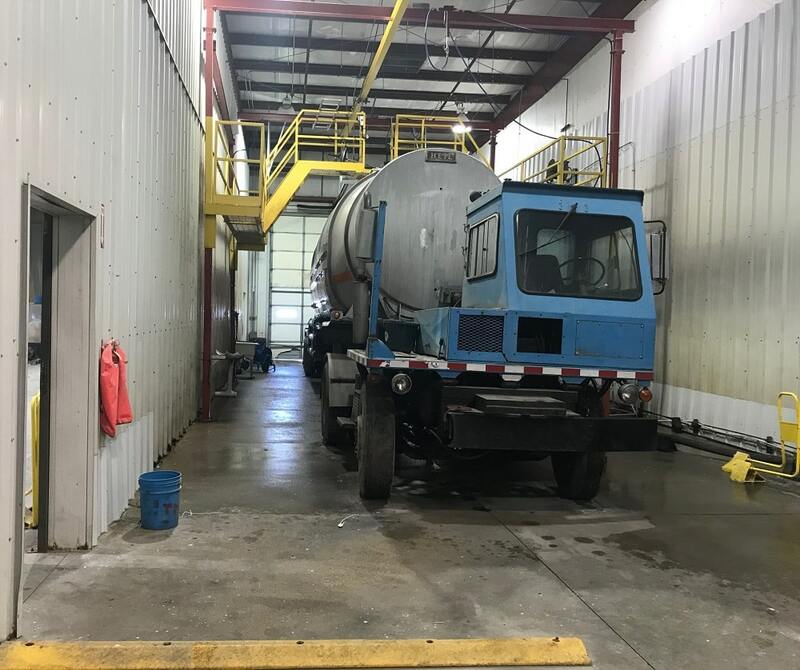 They are recommended for use in wet processing and packaging areas such as tank washes, truck unloading areas, chemical plants, battery charging areas, pharmaceutical labs, pulp and paper mills and food and beverage processing facilities including freezers, coolers and commercial kitchens. SurfaceCrete HF is a heavy-duty seamless flooring system typically installed at 1/4 to 3/8-inch in thickness. Formulated with Ultra-Fresh technology from Thomson Research Associates (TRA) that utilizes glass oxide and silver phosphate, SurfaceCrete HF is extremely tough and withstands thermal shock, impact, abrasion and chemical exposure. SurfaceCrete is available in several colors including red, dark red, gray, dark gray, tan, green, blue, light blue and safety yellow. Call Surface Solutions at 1-866-858-4080 for more information.